Spring is around the corner! I’m filling our schedule with fun activities this spring. We will take advantage of all kinds of activities including bowling, skating, playing at the park, visiting the library, and watching movies. Smoothies are one of my specialties. 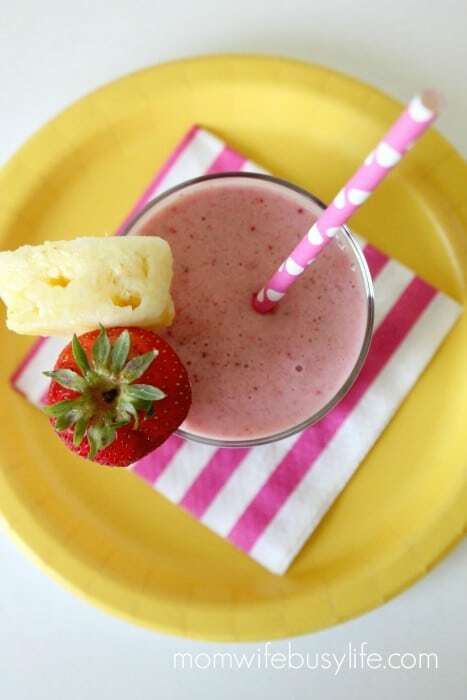 I was going for a tropical flavor for the upcoming summer and after making the Strawberry Pineapple smoothie, it instantly became a favorite of ours. 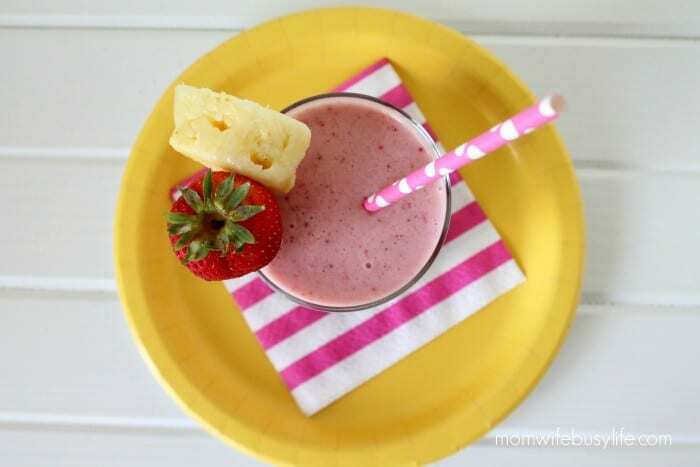 I’m a fan of adding fresh fruits to any smoothie, especially during the spring and summertime. My kids don’t always know what kinds of delicious fruits or vegetables I add to my smoothies, but they sure do seem to enjoy the flavors of the smoothies I make! 2. 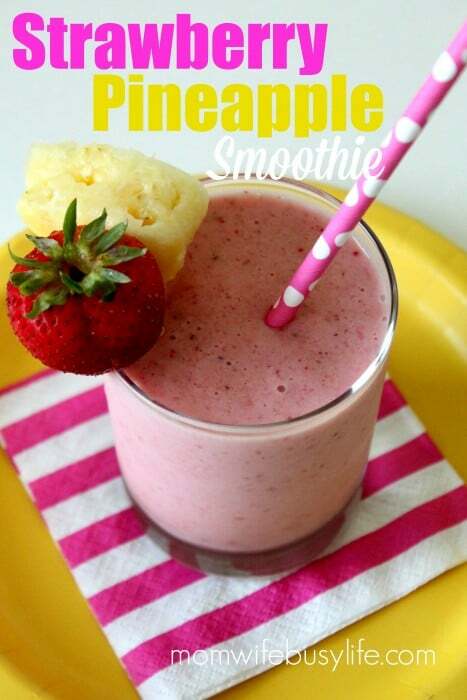 Combine all remaining ingredients in a blender and blend together well. 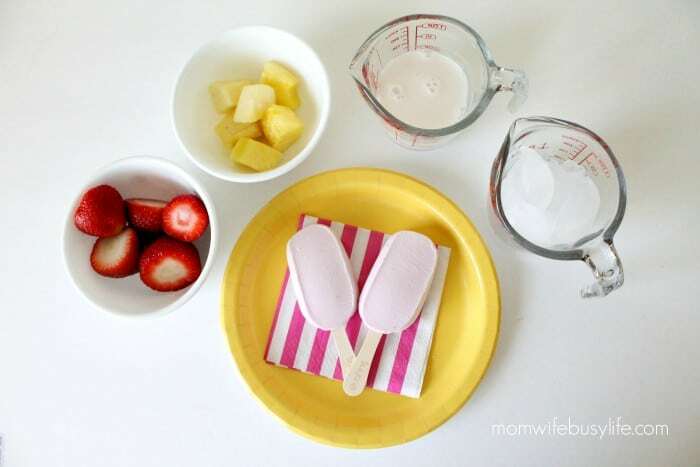 What are your favorite flavors during the summer?